On Tuesday 14 April 2015, Tanzanian security forces raided a mosque in pursuit of suspected jihadists who had infiltrated the Morogoro region. Nine people were arrested and one Tanzanian suspect named Hamad Makwenda, who tried to behead a police officer, was shot by police and later lynched by a public mob. The suspects were arrested with “30 sticks of explosives, detonating cord, a black flag, military uniforms, masks and swords,” according to reports. Police believed the suspects were linked to al-Shabaab but no firm evidence has been offered publicly so far. Tanzania has been on high alert since al-Shabaab’s massacre of more than 147 people at Garissa University College in neighboring Kenya. Before the Westgate mall and Garissa University College attacks, the Tanzanian government was publicly more mum about the threat jihadists posed, even though there had been sporadic small-scale attacks in the last three years. This approach was likely taken so that the country’s tourism-friendly reputation could remain intact, unlike in Kenya where attacks and Western travel warnings have continued to deter Western travelers. But now, there have been more public efforts to boost security around Tanzanian malls, churches, and universities, especially after a Tanzanian suspect named Rashid Mberesero was arrested at the scene of the Garissa attack. 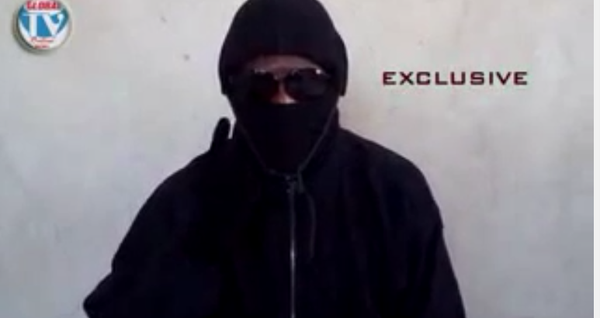 In the last few years, suspected jihadist attacks in Arusha, Dar es Salaam, Zanzibar, and elsewhere have been blamed on followers from various groups in Tanzania, including UAMSHO and the Ansar Muslim Youth Centre (AMYC), which have been frequently linked with al-Shabaab. However, more recently, there is a new cast of characters on the scene. In the same month, associates of Abu Qays also released a video threatening Tanzanian President Jakaya Kikwete and warned of further attacks. Though Abu Qays bin Abdullah and his associates did not release a name for their group, it is the clearest sign yet that Tanzanian jihadists may be seeking the same level of prominence as their counterparts in Kenya and Somalia. What may be behind this recent trend? In other contexts, the marginalization of Muslims, corrupt governance, a poor economy, and religious tension with Christians have been the main causes attributed to radicalization. While all these issues are relevant in Tanzania, it is helpful to think of other contributing factors. The status of ISIS in the media as an increasingly powerful brand may be inspiring would-be Tanzanian extremists. On the other hand, al-Qaeda’s (AQ) longtime operational network in east Africa may be having a more direct impact on the ground. ISIS videos have appeared on YouTube channels and Facebook pages of Tanzanian extremists, including those linked to Abu Qays bin Abdullah. So, it is known that this content is being consumed and distributed in the country outside of mainstream media outlets. Notably, Tanzanian jihadists may be more concerned with forming a cohesive group rather than pledging loyalty to ISIS or its rival AQ at this point. In addition, al-Qaeda and al-Shabaab still have a strong foothold in the region, and this is allegedly helping to directly radicalize communities on the ground. There is likely a sizable number of Tanzanians that are part of a new Swahili-focused jihadist spin-off group from al-Shabaab known as al-Muhajiroun, which has pledged loyalty to al-Qaeda and al-Shabaab. The potentially growing ambition of ISIS to expand its influence in the region and the existing resources of al-Qaeda networks on the ground may offer Tanzanian jihadists inspiration, capacity, and encouragement — eventually leading to more competition over their loyalty. A group of extremists in Tanzania appears to be pressuring moderate clerics to preach a violent interpretation of jihad or face dangerous consequences. Last year, a moderate cleric and his son were attacked with acid after refusing overtures to change their messaging, and attackers threw a grenade at a meeting of similarly moderate leaders. Another aspect of the rift is between the National Muslim Council of Tanzania (Bakwata), whose leadership has accused the Supreme Council of Islamic Organisations (Baraza Kuu) of being a Wahabi sect that is seeking to bring “chaos” among Muslims. Baraza Kuu is led by Sheikh Ponda Issa Ponda, who has consistently fought with Tanzanian authorities on charges related to inciting violence and other matters. In Kiswahili-language jihadist propaganda, Ponda has become a hero among extremists, whether he agrees with their ideological stances or not. As a result, it will be extremely important for the Tanzanian government not to take the path of Kenya in over-litigating suspected extremist figures. These suspects often escape conviction because of shoddy police work and have even won monetary compensation over improper procedures, as in the case of the infamous pro-Shabaab Kenyan cleric Abubakar “Makaburi”. Unsuccessful cases inevitably raise the stock of these individuals as innocent victims of a corrupt and “anti-Muslim” government. Makaburi’s murder was believed by many observers to be sponsored by the Kenyan government, marking another tactic — along with scapegoating and mass arrests — that Tanzania should take as lessons learned from counter-terror operations across the border. Tanzanian extremists appear to be using secluded houses, schools, mosques, and encampments in forested areas to indoctrinate and train recruits. The most high-profile case of this was in late September 2013 in which Tanzanian police broke up an “indoctrination camp” allegedly led by al-Shabaab-linked operatives who were teaching young children murderous ideologies and tactics. 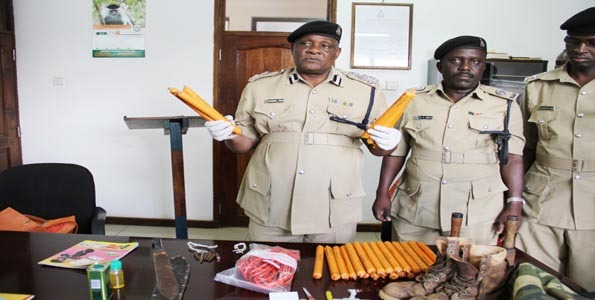 In addition, militants in the southern Mtwara region were similarly using heavily wooded areas to conduct “military-style” drills before their arrest in October 2013. The militants associated with Abu Qays bin Abdullah used the same tactic in coalescing around the Amboni Caves in the Tanga region to plan attacks, hide weapons, and to evade police detection. Lastly, Tanzanian media has linked recent raids on houses with “kidnapped” children in the Kilimanjaro region (the home region of Garissa attack suspect Rashid Mberesero) with attempts at radicalizing Muslim youth. Those connected with one house under suspicion said that it was simply an Islamic school with children of consenting parents, but there will undoubtedly continue to be scrutiny over such informal establishments. Even though some of these hideouts for alleged extremist activity were allowed to exist for months without disruption in some cases, there is a pattern of Nyumba Kumi (neighborhood watch, in effect) in which locals report suspicious activity to officials, who take action thereafter. This component of trust between communities and the police, often missing in neighboring Kenya, is critical to Tanzania’s ability to identify potential extremists in areas of the country that lack a sufficient security presence in terms of the police-to-resident ratio. Overall, adequate local cooperation and effective anti-terror operations have helped Tanzania combat a concerted effort among extremists to develop into a cohesive force. However, dynamics could shift if extremists learn to better exploit hard to reach areas, formalize internal networks, or receive more support from outside organizations like ISIS or al-Qaeda. Perhaps worst of all for Tanzania is the possibility that jihadist recruits would see no need to go to Somalia or Kenya to execute attacks, and rather, find a place right near home. 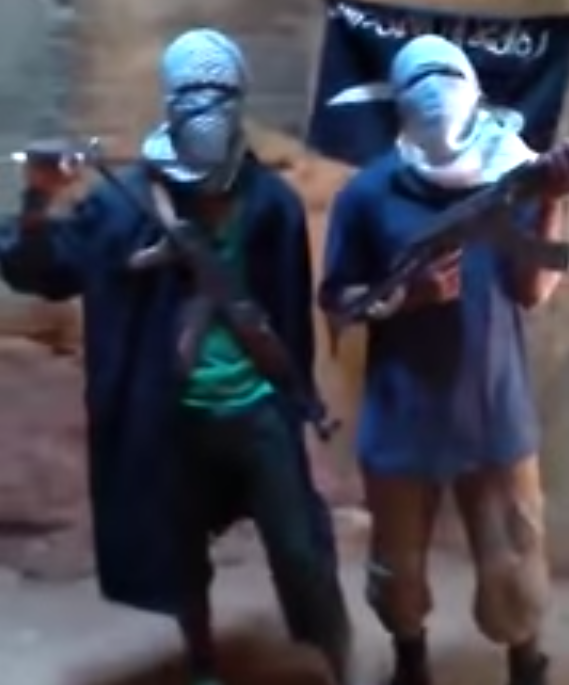 ‹ Will Al-Shabaab Follow Boko Haram and Pledge Loyalty to ISIS? Muslims marginalization in Tanzania does not exist. The president is muslim. The vice president is also muslim. The whole of Zanzibar political heirachy is muslim. Muslim extremists are just fighting and its now Tanzania’s turn. The media will also miss the reason for muslim terrorism. 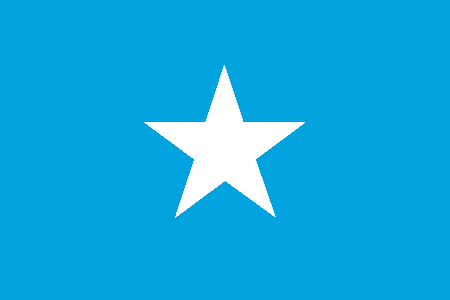 Get it right: Al Shabaab is pure Islam. Al Qaida is pure Islam. ISIS is pure Islam. Extremism is a religious conviction. Muslims have a call to fight and the season high now. They are going to fight everybody in the whole world.